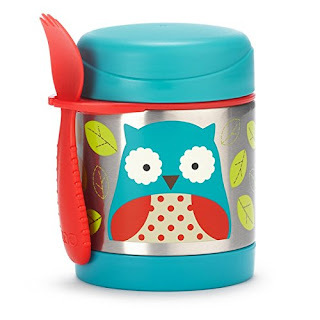 Right now over at Amazon you can score this cute Skip Hop Little Kid and Toddler Insulated Food Jar and Spork Set Otis Owl for just $10.80 (Retail $18)! This insulated jar is made of stainless steel and keeps food warm for up to 7 hours or cold for up to 5 hours. It's BPA-free and Phthalate-free and can hold up to 11 ounces.